Here at Morris Joinery, our skilled team of craftsmen blend traditional skills with cutting edge technology to create quality bespoke joinery. At our workshop in Shrewsbury we create tailored timber solutions to the highest standard, from the joiners’ bench to finishing in our custom-built spray booth. From luxury orangeries, sliding sash windows and exterior timber doors to large scale commercial tenders and special commissions, we have the experience and attention to detail to turn any vision into a reality. Having lived in our property for 30 years, the time had come for us to replace our front door. We opted for a custom-made oak front door and were guided through the process by Joinery Manager Steve who offered advice and support from start to finish. This high standard of service was also replicated by Rob and Joe who crafted and fitted our new door, even putting thought into when would be a good time to fit. After keeping an eye on the forecast they arranged to fit our door before the weather turned for the worse which we very much appreciated. We were very happy with the service from the team throughout and are delighted with the finished product. Morris Joinery provided us with first class service and a superb product. I could not recommend them more highly. I am very pleased to confirm our complete satisfaction with the service and quality of the doors and windows I have recently bought from Morris Joinery. It was important to employ a specialist joinery company, as I have renewed windows and extended a listed house. I have no hesitation in recommending your company to others. As a single private householder of a Grade II listed black & white property, I have found Morris Joinery most helpful in every way. Over 2 periods, 16 double glazed windows and 2 external doors have been replaced, the design and planning from start to finish has been thorough and very efficient. The craftsmanship of the carpentry is excellent and I am thrilled with the finished result. On personal recommendation I approached Morris Joinery to manufacture and install replacement windows and doors for our home. From the initial design right through to fitting, the whole team were professional and courteous. I was particularly impressed with their attention to detail and desire to complete the work to my total satisfaction. So much so, we asked them to make more windows and doors the following year. I was totally satisfied with the service provided by Morris Joinery, from my initial contact to the completed job. The quality of the craftsmanship is brilliant and exceeded my expectations. The gentleman who came to fit the door was pleasant and helpful, he worked swiftly and left the place neat and tidy afterwards. You would expect a door of this quality to be really expensive – in fact it was much cheaper than local double glazing firms and I am absolutely thrilled with it. One of the reasons we chose Morris Property was because of their joinery division. We knew that the final character of the house would be dependent on incorporating oak traditional features and finishes which Morris joinery crafted expertly. The site foreman provided by Morris was exceptional, his uncompromising standards, sound advice and professionalism were important factors in delivering a finished house which exceeded our expectations. We had two replacement sash windows and a new front door installed at our house, which is in a conservation area and dates from the 1900s. We were most impressed with the quality of workmanship from Morris Joinery who carried out the work to a very high standard. All the people involved were pleasant and easy to deal with. 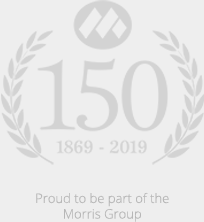 I would certainly recommend the company because of their expertise.Morris Joinery recently supplied and fitted new sliding sash windows to existing frames at our property which is around 90 years of age. The joinery work in producing units to match existing was first class whilst the fitting crew were excellent both in workmanship and their interface with us as householders. It was all so good that we ordered the treatment of further windows. We had two replacement sash windows and a new front door installed at our house, which is in a conservation area and dates from the 1900s. We were most impressed with the quality of workmanship from Morris Joinery who carried out the work to a very high standard. All the people involved were pleasant and easy to deal with. I would certainly recommend the company because of their expertise.